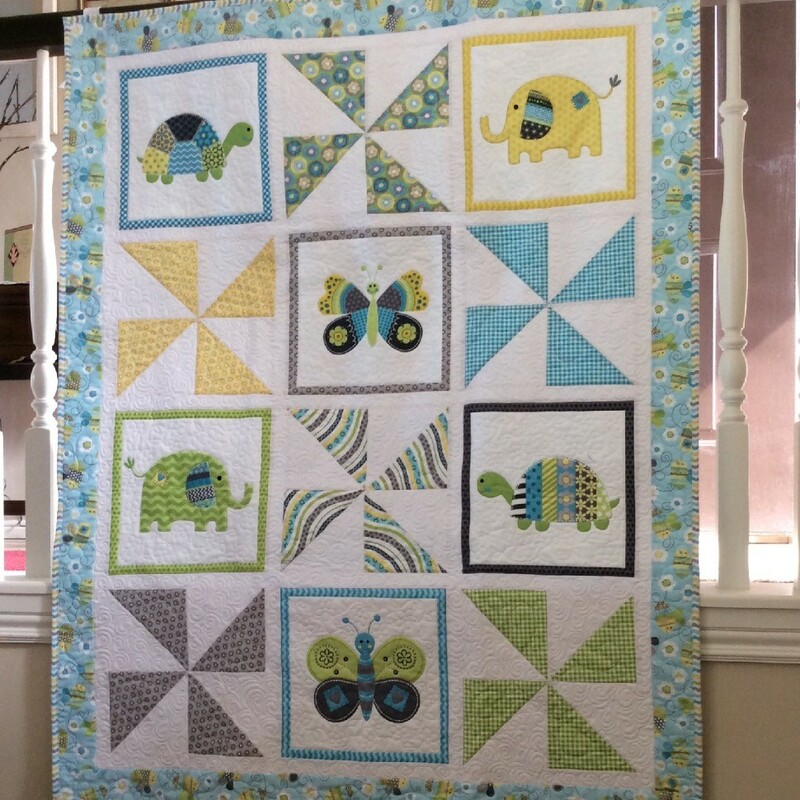 Thread: Animal baby quilt on "Quilts by me"
How do I contact "Wyomingnana" to find the pattern to her quilt with animals and pinwheels? Re: Animal baby quilt on "Quilts by me"
Go to her profile and pm her. How do you do that? I am not very familiar with the "Quilts by me" site. Sorry. I misunderstood you. I thought you meant the Quilts By Me section here on the forum. Maybe I missed her user name.....but I couldn't find "Wyomingnana" on the community site here at MSQC ? ?????? I checked in the community here on the forum ( the members list ) and didn't see "Wyomingnana"?????? Maybe missed her name....but I don't think so. I wonder if she is talking about this one? It is on wyomingnana's blog. Last edited by LauraP; October 17th, 2017 at 12:58 AM. I can't find any contact info either I think like Laura said it would be an easy pattern to figure out. Thanks Lorie.....I was stumped with I couldn't find any contact info in the community listing here on MSQC for Wyomingnana !